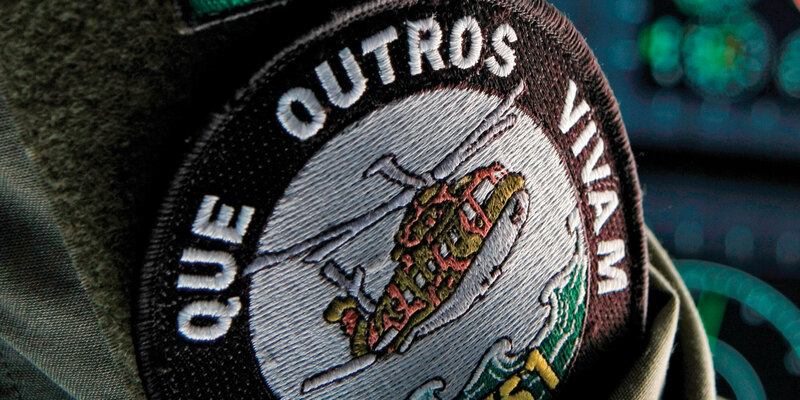 Portugal’s 751 Squadron (Esquadra 751), the “Pumas” of the Portuguese air force, has been selected for this year’s Sikorsky Humanitarian Service Award. The unit flies search-and-rescue missions from three bases in Portugal, mostly over vast stretches of ocean. Since it was formed in 1979, the squadron reports it has rescued more than 3,000 people. Now equipped with three-engine AgustaWestland AH101 Merlins, the Pumas cover more than 2.3 million sq mi of ocean–approximately one-third the size of the entire North Atlantic. Sharing the honors are approximately 100 pilots, systems operators, rescue swimmers, other aircrew members and maintenance technicians. The squadron’s range of operation increased from 200-nm missions with its original SA330 Puma rotorcraft to missions extending out to 400 nm with the AW101s. It made the changeover to the longer-legged helicopters in 2005, and the longest unrefueled mission to date covered some 726 nm round trip, lasting 7 hours, 20 minutes. Total flight time logged since 751 Squadron’s inception is greater than 40,000 hours; with more than 10,000 hours in the Merlins. Besides the lifesaving aspect of the SAR mission, the expertise of the squadron also reaps economic benefits. Portugal’s maritime history dates back centuries, and the country depends on shipping for a significant portion of its national economy. Shipping firms are the more comfortable for knowing that the Portuguese air force fields such a robust search-and-rescue team, covering the second largest SAR region in the world. In addition to 751 Squadron’s Merlins, the Portuguese air force can also deploy P-3, C-130, C-295 and Falcon 50 fixed-wing aircraft and Allouette III helicopters. Some notable rescue missions executed by 751 Squadron include lifting five sailors from the MV Kea, a Barbados-registered cargo ship that was sinking 160 mi off the coast of Galiza, Spain. The Kea was en-route to Colombia from Russia at the time. Of 24 sailors on board, all but two were rescued by a combination of other ships and helicopters. The sinking occurred in March 2010. In December 2011, one of 751 Squadron’s Merlin’s located and rescued six fishermen from the Virgem do Sameiro in the waters north of the Portuguese city of Figueira da Foz. The vessel had sunk three days earlier, and the men had been floating in a life raft until the helicopter crew spotted them. Earlier in its history, while still flying the SA330 Puma, the squadron flew 163 missions rescuing a total of 1,386 victims of the Tejo River floods of 1979 and 1983. Additional missions included rescuing 15 sailors from the stricken Angel del Mar; 17 from the Bolman III in January 1994; and 22 from the Coral Bunker, which ran aground in Viana do Castelo on Christmas Eve, 2000. In addition to SAR operations, the squadron also performs VIP transport duties, having carried Pope John Paul II on his three visits to Portugal and Pope Benedict XVI in 2010.